A CONTROVERSIAL noise clampdown in Ibiza’s San Antonio has been approved by councillors. Bars and nightclubs that previously had a license to be open until 5am will now have to close at 3am instead, while terraces currently allowed to open until 2am might now face 11pm shutting times. The decision to end late-night partying in the vibrant West End has many worrying it will deter British tourists from the area leading to economic losses. The crackdown is in line with the larger Balearic campaign against ‘loutish’ tourism. 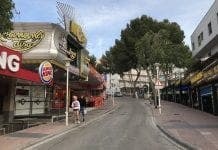 The affected West End bars will need to soundproof their venues and install noise limiters, which many Mallorca establishments had to do last year following new restrictions. The new measures will ‘make healthy tourism business compatible with the healthy right to live in peace,’ according to San Antonio’s environment councillor Pablo Valdes. Partido Popular leader Jose Sala disagrees and has said the early closing times are ‘not the most adequate solution’. 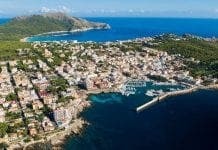 “We have to realise that we rely on tourism,” he said, “If these changes are applied only to San Antonio and not to other places, people will just go elsewhere after three in the morning”.